Marc Jacobs! Marc Jacobs! Marc Jacobs! I love his spring/summer 2013 collection. The MOD girl has been released. As the models began to grace the runway, I thought “oh no I don’t like this.” It took only 3 more models to sashay down the runway before I became starry-eyed while watching the show. What is it about Marc Jacobs and his insanely talented designs that continues to captivate me every season. I’ve been a MJ fan for the past 15 years. I just can’t stop loving his amazing creations! The brilliant play of prints against patterns is genius. Marc’s classic black,white, and red color palate is so refreshing for spring. I want to fast forward to next May just so I can rock one of these lovely pieces. I realize this collection will take some hits, especially for the crop tops and low waisted skirts….revealing one’s pelvic. If you’re not into baring your midriff, then by all means pair the skirt with a lovely floral blouse. I’m all for taking the looks from the runway and putting your own spin on it. Fashion is universal but style is individual. Never shy away from rocking what you love. 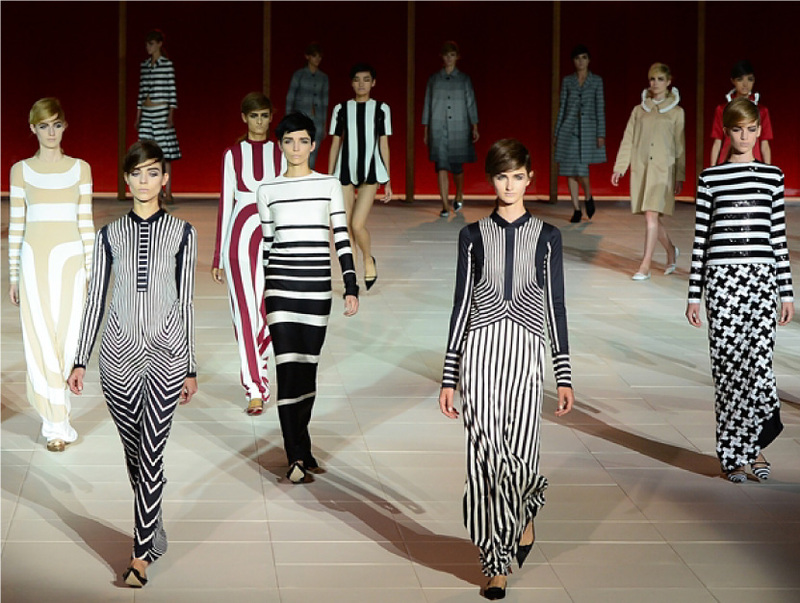 Though I can’t really see myself wearing any of these, I love these designs, especially the black and white jumpsuit!